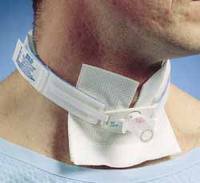 Tracheostomy Care in the Home– Training the caregiver and patient in proper suction technique is critical to successful suctioning. We will review airway anatomy and AARC guidelines for suctioning. We will also discuss tracheostomy history, tracheotomy procedures, patient care needs and recommendations. This entry was posted in Respiratory Therapy and tagged ceus, continuing medical education, free ceus, free ceus for respiratory therapists, free continuing medical education, free respiratory ceu, free tracheostomy ceus, respiratory therapy. Bookmark the permalink.